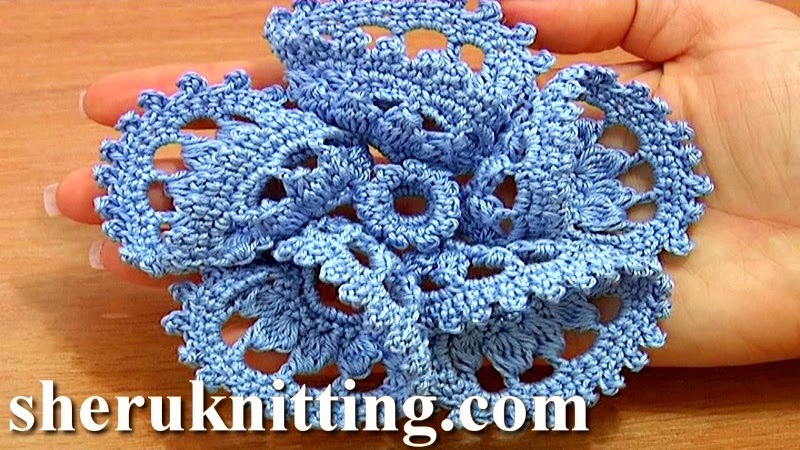 In this crochet flower tutorial you will see how to crochet a large 3D folded petal flower. The flower has five beautiful petals where each petal made of 10 one of a kind complex stitches. The crochet complex stitch we use is a 5-double crochet cluster with a post of double crochet on top. The last row of stitches on each petal is a trim with picots. In the next part we will complete the flower and crochet little center with picots. Enjoy! Flower was made of 100% Cotton, 169m/50g. Steel Crochet Hook 2mm (or #4 US standards).